If your seasonal allergies seem worse this year, you're not alone. Experts say the cold snap in February combined with an unusually warm March has resulted in a drastic increase in the number of sufferers seeking relief. Seasonal allergies typically start when the weather warms up in the spring, but during particularly mild winters, this can begin as early as mid-January in Vancouver. "The season for tree pollen was a bit delayed but strong," Bryan Rizzardo told CTV News Vancouver. Rizzardo is a Vancouver-based pharmacist and the district manager for Rexall stores in the Lower Mainland, Whistler and the Central/North Island. He said pharmacies have seen a spike in customers looking for antihistamines, and pharmacists expect the increase to continue into the fall. 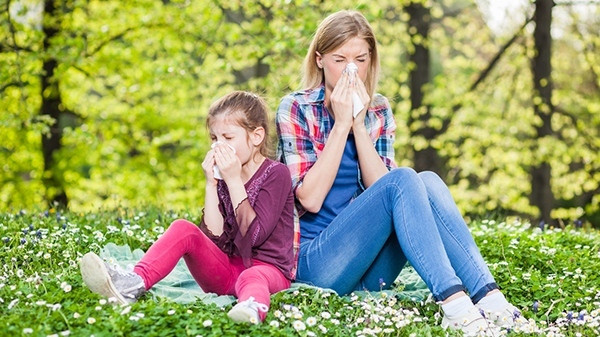 For people reaching for tissues in the first few months of the year, the reason behind their seasonal sneezing is generally tree pollen, which stays in the air until July or August. Grass pollen affects allergy sufferers next, lasting late into the summer. Daniel Coates from Aerobiology Research Laboratories - a group of field experts that monitor outdoor allergen levels - also said this season started late. "Cedar was the first to appear and recently we have seen alder in the air as well," he told CTV. "They quickly rose to high and very high levels on certain days, and remain at those levels now." Coates warned that more types of pollen are on the way as the allergy season progresses. Vancouver typically sees tree pollen for at least five months. Spores are still present in the other months of the year, but reach troublesome levels again heading into the fall. "Generally, it takes the first frost to stop pollen being produced by trees and grass," Rizzardo said. Is Vancouver worse than other cities? Rizzardo says allergy season is comparable in Vancouver to most other major cities, but the type of pollen or allergen can vary based on local environment. "For example, alder, beech and birch trees are well represented in the Vancouver area, so if you have an allergy to these tree pollens, you may want to speak to your pharmacist early in the season to get ahead of your symptoms," Rizzardo said. Coates said Vancouver has a much longer pollen season than the rest of Canada - up to two months longer than most areas. 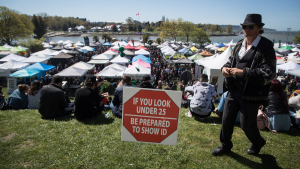 "The saving grace for people living in B.C. is that you do not get exposed to ragweed which is a highly allergenic plant," he said. "Spores are abundant in B.C. though, and can be a menace throughout the year, especially in the fall." It's hard to know exactly how bad allergies will be ahead of the season, and a strong start like this year's doesn't mean the rest of the year will be equally strong. Weather plays a major role in pollen counts, Rizzardo said, but those looking for an idea of what to expect can look up pollen trackers online. Websites like the Weather Network post three-day pollen forecasts online. Pharmacists can provide more information about available allergy medications and how to use them properly, as some can take weeks to take full effect.